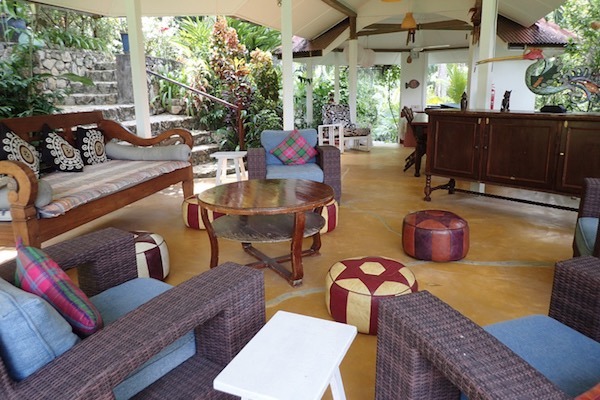 Tucked within the jungle, Tiger Rock offers an island escape with the comforts of home. 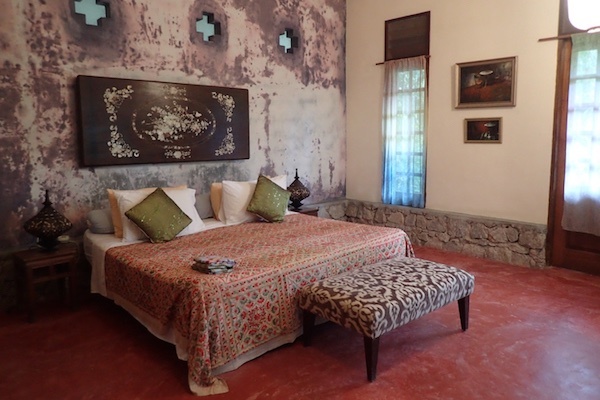 Owned by the artists who envisioned the property and called it home for many years, rooms are filled with colourful works of art, carefully selected fabrics, and personal touches. The property is designed with three primary areas. 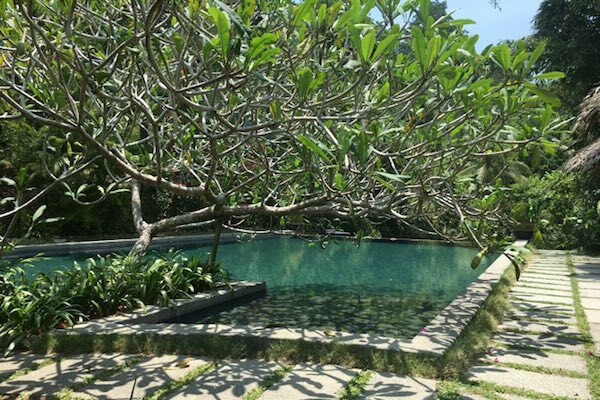 Meals and afternoon tea are served poolside in an open air dining and sitting area. One guest studio is tucked away at this level making it ideal for those who wish to avoid too many stairs or hilly walks. Directly uphill is a welcoming library lined with books and filled with places to sit, chat, and look for monkeys in the jungle. 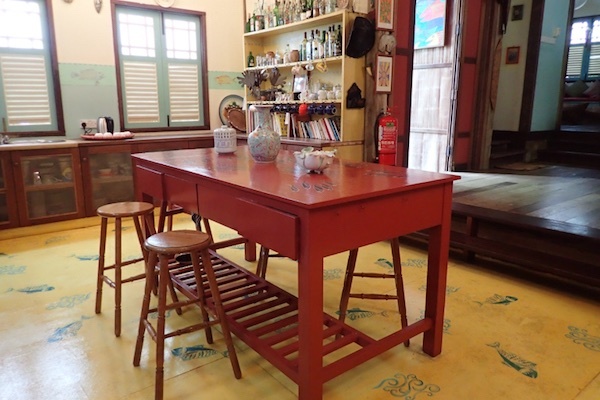 A bit further uphill is the Main House where you'll find a comfortable sitting area and kitchen. On the floor above are two bedrooms, ideal for a family. One room has a queen bed and the other two single beds. 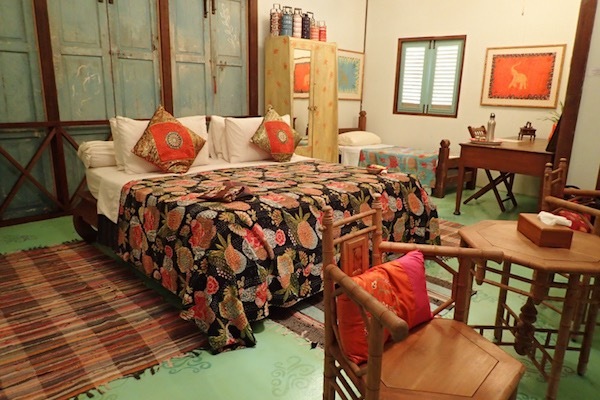 With the feel of a large tree house and a lovingly lived-in air, the house offers a delightful homely feel. Up a few more steps and deeper into the jungle is a large studio room with one queen bed and one single. French doors open onto a private lawn facing directly into the trees. Once an artist's studio, the room is filled with paintings and items collected over time. 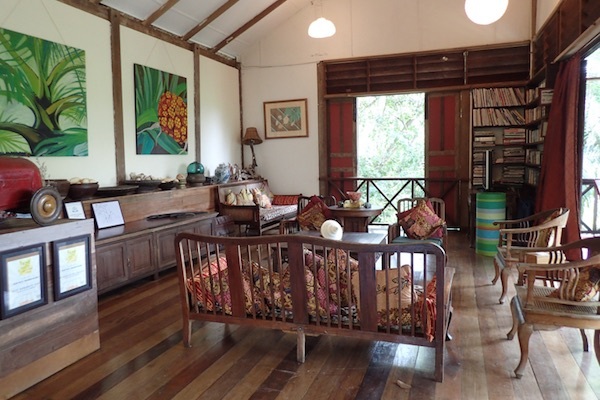 The Main House and Studio can be reserved in their entirety for a large family or small group. Along a separate path sits Hill House. There are four guest rooms, two of which can be connected. 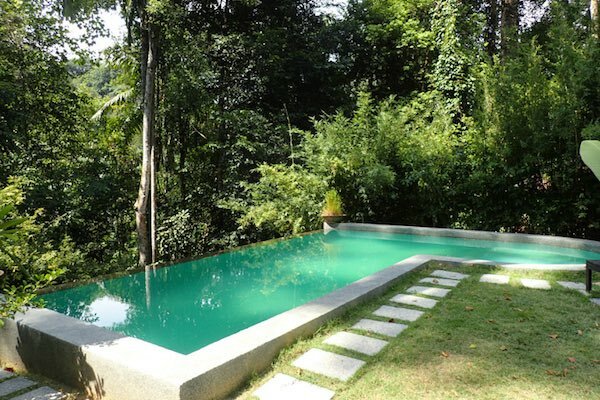 Guests staying in this part of Tiger Rock have access to a second swimming pool and an open air sitting area. 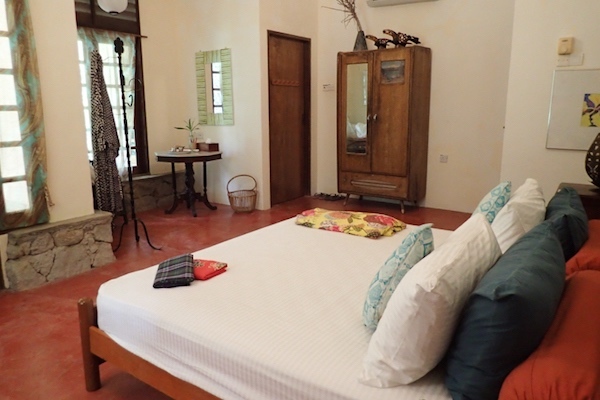 No two rooms are the same but each has a queen-sized bed, ample space in which to sit with a book or look out over the bamboo thicket, and a verandah. 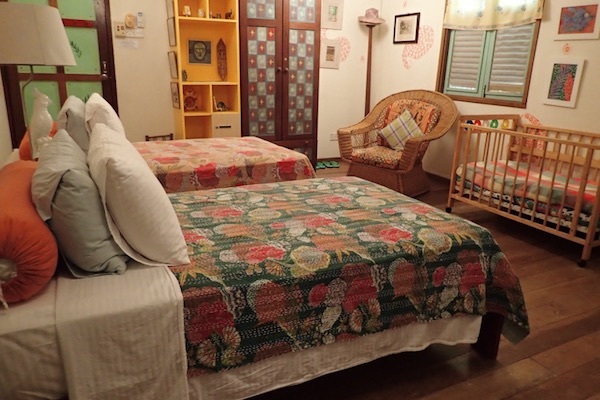 The four rooms of Hill House can be reserved individually or as a block and provide a wonderful amount of privacy for two families traveling together. 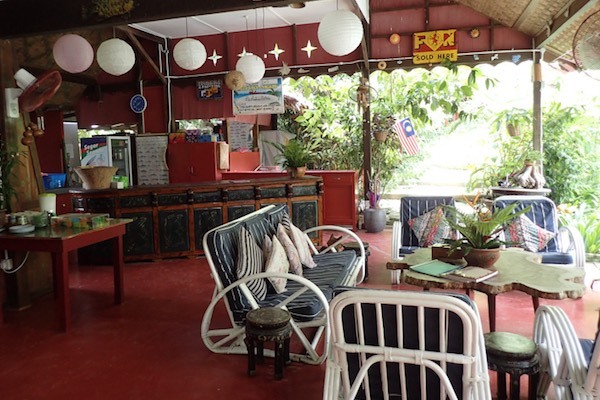 A stay at Tiger Rock begins when a member of the team meats your arrival in Lumut and takes you aboard the ferry to Pangkor. Your hosts, Mohan and Bovanni, welcome you to the property and are on hand throughout your stay. Full board is included and locally sourced seafood and produce feature in the daily offerings. A picnic can be prepared for lunch at the beach. Bicycles and tennis rackets are available for guest use. The beach is a short drive from Tiger Rock and transportation is provided on your preferred scheduled. For guests who wish to see the island, Mohan will provide a two-hour tour to see the remains of a Portuguese fort, show you traditional island life, where fishing boats are made, and more. Massage, henna painting, snorkelling and sunset boat rides, and more can all be arranged. Tiger Rock is situated on the island of Pangkor, approximately four hours drive north of Kuala Lumpur or three hours drive south from George Town. The ferry ride from Lumut to Pangkor takes around 30 minutes.